Doug cutting the passion fruit cake. We’ve been fortunate to host a few birthdays for our friends, staff and customers. 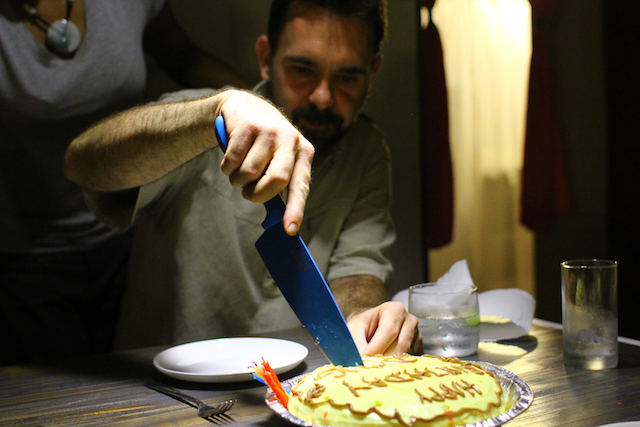 Two of the restaurants best friends moved from Washington, DC to Cambodia last year and after a whirlwind tour of the region, got back to Phnom Penh just in time for his birthday. It was Thor Buns, Gin & Tonics and a passion fruit cake. 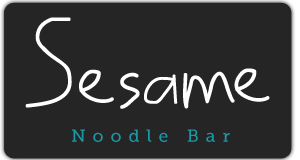 Have an event or special occasion you want to share with Sesame? Contact us and let us know and we’ll see what we can do to make it a great event.